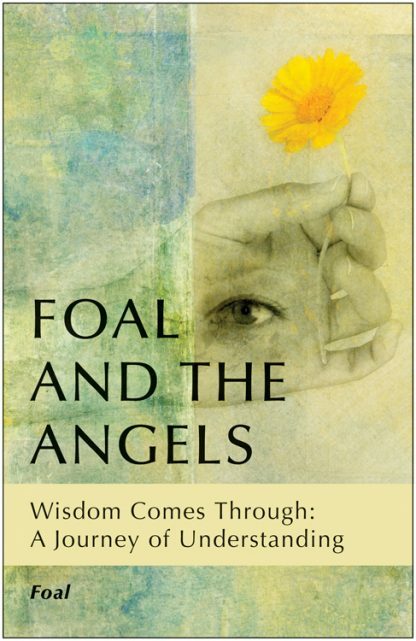 Foal and the Angels is about a journey to understand the great wisdom hidden behind life. Through a series of dreams and insightful messages that provide Foal with some pretty intensive lessons, the mystery of life unravels and he shares these spiritual discoveries with other seekers. �What I describe here is almost exactly how it happened, or at least how it was felt and registered in my mind. So is all of this true? I don�t know. How could anyone possibly know? But genuine? Yes. It comes from the heart. The fine line between imagination and inspiration was unknowingly blurred into one of a bigger Truth, becoming a sort of thick pipeline between two different worlds. The compassion you have, let it flow, and let it flow close before it goes far (from the Angel of Compassion). If you love me, you cannot but SEE me (from God). Turn ego into compassion, Foal (from Jesus Christ). It is the complete trust inside that makes the momentum and the impact (Archangel Chamuel). You shall deserve the joy you make, and you shall take merit for the happiness you build (Lord Michael). Whether you consider yourself a spiritual person or someone simply trying to figure it all out, the gentle messages and lessons in Foal and the Angels will inspire you to live a more authentic life.